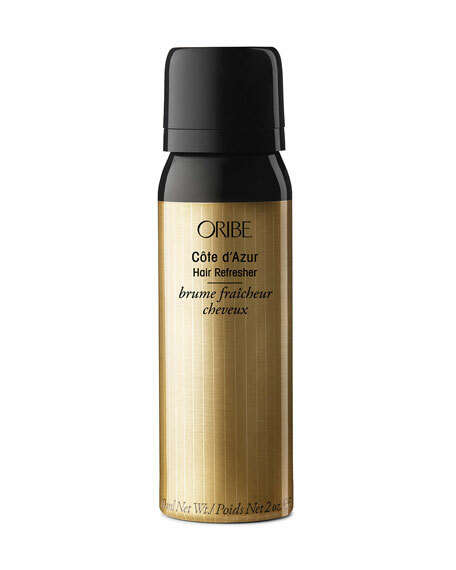 A mist of Oribe signature fragrance refreshes hair, neutralizes odors and cuts static. From now on, what you've been up to is your (beautifully) scented secret. For anyone who loves the Oribe signature fragrance. Lightly scents hair with Oribe's signature fragrance. For when your hair can use a little refreshing. Professional-grade exfoliation treatment for the body utilizing the power of sonic technology, vacuum suction and diamond encrusted metal head to smooth the look and feel of the skin. Demonstrated to help improve the look of stretch marks, uneven skin tone and dryness.